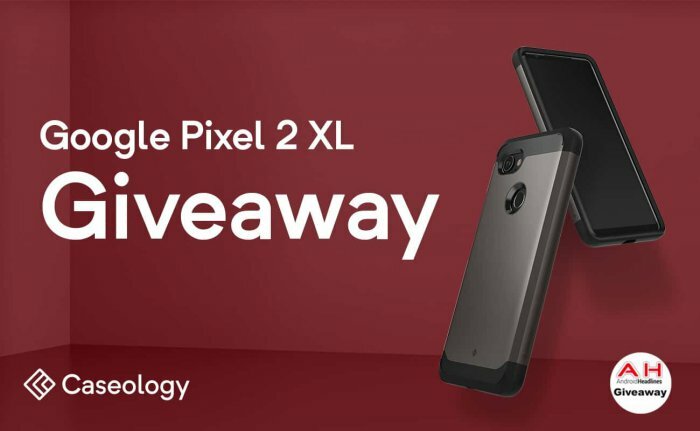 Android Headlines has teamed up with Caseology to gift one of their fans with brand new Pixel 2 XL smartphone! To enter in this Google Pixel 2 XL Smartphone Giveaway grab your free entries by following few simple steps listed down below! Google Pixel 2 XL smartphone was launched in October 2017. The phone comes with a 6.00-inch touchscreen display with a resolution of 1440 pixels by 2880 pixels at a PPI of 538 pixels per inch. Bonus entries: Share your referral link with friends to get additional 15 entries for each person who enter through the link. AH will email the winner and the winner will have 48 hours to respond or another entrant will be selected. Check your email.